More than 200 people attended the Missoula Children’s Theatre (MCT) musical adaptation of “Alice in Wonderland” in Albion last Saturday, June 27. The production featured 58 young actors and actresses from a wide area that included Albion, Columbus, Fullerton, Gretna, Lindsay, Lincoln, Petersburg, St. Edward. One young performer came from as far as Colorado. After auditions were completed on Monday, the students spent each afternoon in rehearsal for the Saturday productions at the Boone Central High School Gym. 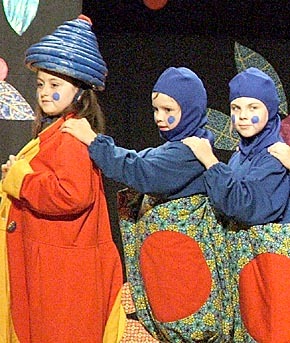 The MCT productions in Boone County have become very popular with both young performers and audiences over several successive years.